Today I'm speaking just to people able to attend events in the metro Detroit area BUT before you stop reading, since this is about a program that is grant funded, if you would like to bring my storytelling program your way, it may help to know my storytelling is recognized as grant worthy and is also part of the Michigan Humanities Council's Arts and Humanities Touring Directory. The 2017 Arts and Humanities Touring Directory Grants are closed, but plan now for grants for 2018. I value creative thinking and will work with you on funding your program, whether by a grant from the Humanities Council or elsewhere, or a sponsorship, or another way to bring storytelling to your audiences. Storytelling can be included as part of a series offering varied approaches. Telling about the U.S. World War I Centennial my Hello Girls program has sometimes been scheduled in mixed company. I don't usually list my programs here, but because it gives an opportunity to discover such a rich assortment of experience by the various leaders, if you can join this series, I hope you will. For readers able to go, here is further information. To register, click on the underlined hotlinks given below. 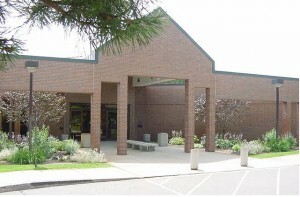 The Orion Township Public Library location and contact information is given at the end. The Orion Township Public Library has received a World War I and America grant, which marks the 100th anniversary of the nation’s entry into the war in 1917. World War I and America’s principal objective is to bring veterans and their families together with the general public to explore the American experience of war and its role in shaping the contemporary world by reading, discussing, and sharing insights into the writings of Americans who experienced it firsthand. Register for the whole series or any of the evenings online, and stop by the library to pick up the readings being discussed so that you can read them ahead of time. Discussions will also include other forms of media related to each evening's themes. Copies are available now at the Adult Reference desk. World War I was won not only on the battlefield, but also at the phone switchboard. 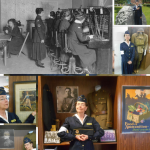 Join local storyteller Lois Keel as she shares the story of how bilingual operators helped General Pershing in France. Oleda was a Michigan teenager, a weekend musician, and a telephone supervisor who saw it all, including a 60 year battle to win veterans status. Dr. Eric BeShears, clinical psychologist, with the John D. Dingell, Veterans Affairs Medical Center, will speak on the topic of PTSD and Moral Injury. The program is especially geared towards veterans and their family members, or anyone whose lives PTSD had affected. Topics discussed will include what PTSD is, what it looks like to loved ones, the toll it takes on family members, and what happens if PTSD is not treated. Also discussed will be the relatively new issue that is being addressed in the mental health field, Moral Injury. Dr. BeShears welcomes questions throughout his discussion, and the program can become as interactive as the audience prefers. Historian Dennis Skupinski will present an interactive program about WWI and Michigan. Michigan's work force included many European workers who were affected when Michigan's industry was needed for the war effort. How did these workers react to war on their former countries? George Creel and the Committee on Public Information who promoted Nationalism, combating dissent and creating a patriotic "Home Front", will also be discussed. Veterans of any war and their families are invited attend and will have the opportunity to share their stories and/or reactions to the topics discussed. This series is part of World War I and America, a two-year national initiative of The Library of America presented in partnership with The Gilder Lehrman Institute of American History, the National World War I Museum and Memorial, and other organizations, with generous support from The National Endowment for the Humanities. For more information contact reference@orionlibrary.org or call 248-693-3001.